The pizza chain is standing by the star quarterback after an Al Jazeera report linked him to the banned substance. LOUISVILLE, KY: Peyton Manning is a "trusted friend" of the Papa John’s brand and will continue to represent it despite recent allegations that he used human growth hormone, a spokesman for the company said Tuesday. An investigative report by Al Jazeera released over the weekend said the Denver Broncos quarterback took HGH after his career-threatening neck surgery in 2011. The National Football League star has adamantly denied he ever took the substance, which is banned in pro football. The Broncos and his former team, the Indianapolis Colts, have also issued statements of support. "Papa John’s is aware of the speculation. During the course of our relationship, [Manning] has represented himself, the game of football, and Papa John’s with the utmost honor and integrity. Furthermore, he has been a trusted friend," said Peter Collins, senior director of PR for Papa John’s, in a statement. "It is a shame for all his hard work, to have one of the greatest comebacks against all odds, that he has to deal with these allegations." Papa John’s began endorsing Manning in 2012, and the football legend owns 22 franchises in the Denver area. Another Manning sponsor, Nationwide Insurance, issued a statement saying it is "monitoring the situation." Other brands that Manning endorses — Gatorade, DirecTV, and Nike — have yet to comment on the allegations. 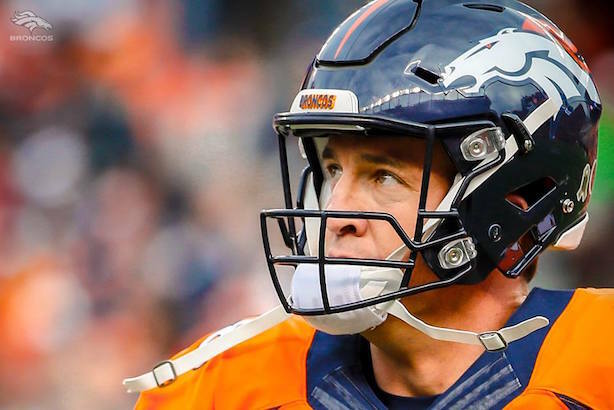 Manning is the NFL’s top off-the-field earner. He makes $12 million via endorsement deals from those five brands and others, according to Forbes, and his 2015 salary from the Broncos is $15 million. At issue is a story by Al Jazeera posted on Saturday that claimed Manning received human growth hormone in 2011 from a medical clinic that mailed the substance to his wife. The story has gone viral, but Manning has vehemently denied the allegations in several interviews. Players from across the NFL have come out in support of Manning, discounting any allegations. The quarterback has hired Ari Fleischer, former President George W. Bush’s first press secretary and the principal of Ari Fleischer Sports Communications, to serve as a spokesman. Tuesday morning, Deborah Davies, the journalist behind the Al Jazeera report, said on Today that Manning has not denied that his wife received shipments of HGH and clarified, "We are not making the allegation against Peyton Manning." Fleischer countered in a statement that the story "was not credible to begin with and it’s not credible now."